At the height of his wealth, had Jay Gatsby given Daisy a watch in his efforts to impress and woo her, it might well have been a watch like this one. 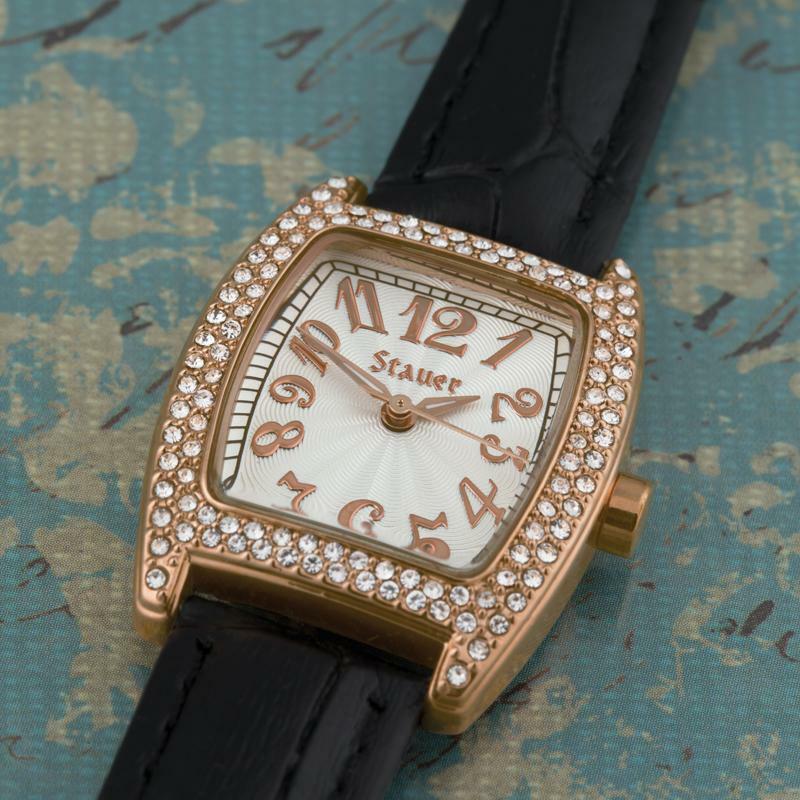 This tonneau watch— known for its four-cornered barrel shape (tonneau is French for barrel)— is a trademark look of the 1920s and adorned many a wrist of the debutantes and ingénues of the day. Our interpretation of this classic timepiece has the updated look of a rose gold bezel and a crocodile-embossed black leather band. The DiamondAura® studded bezel highlights the signature tonneau shape and adds just the right element of sophistication. You don’t have to be Jay Gatsby to gift your Daisy with a timepiece resplendent with all the dash and aplomb of an era filled with the pursuit of elegance. 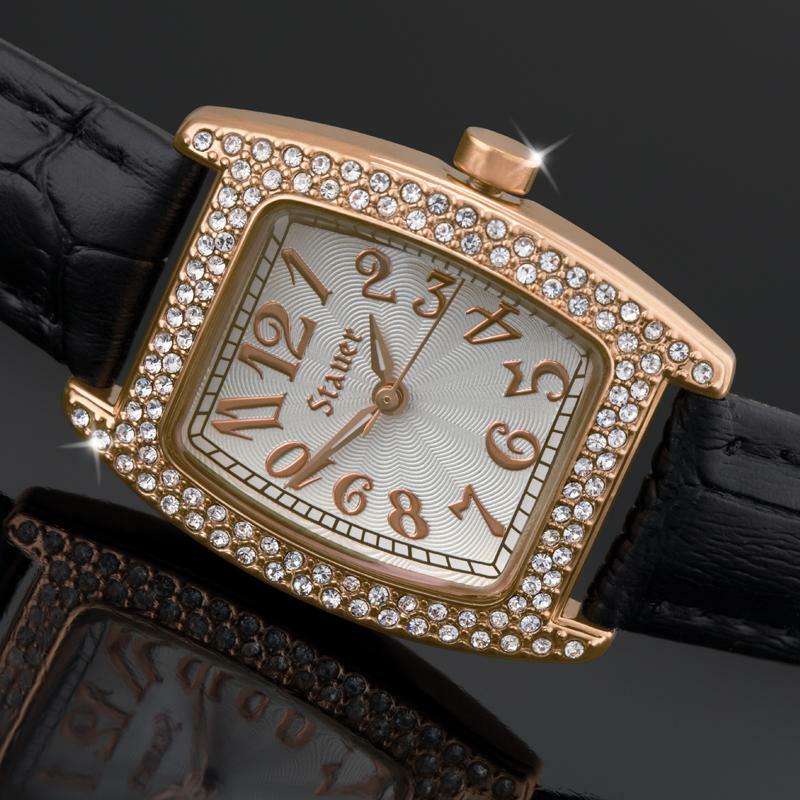 Sweep her off her feet with this classic tonneau-style watch without putting your wallet over a barrel. fits wrists 6 1/2" to7 1/2"